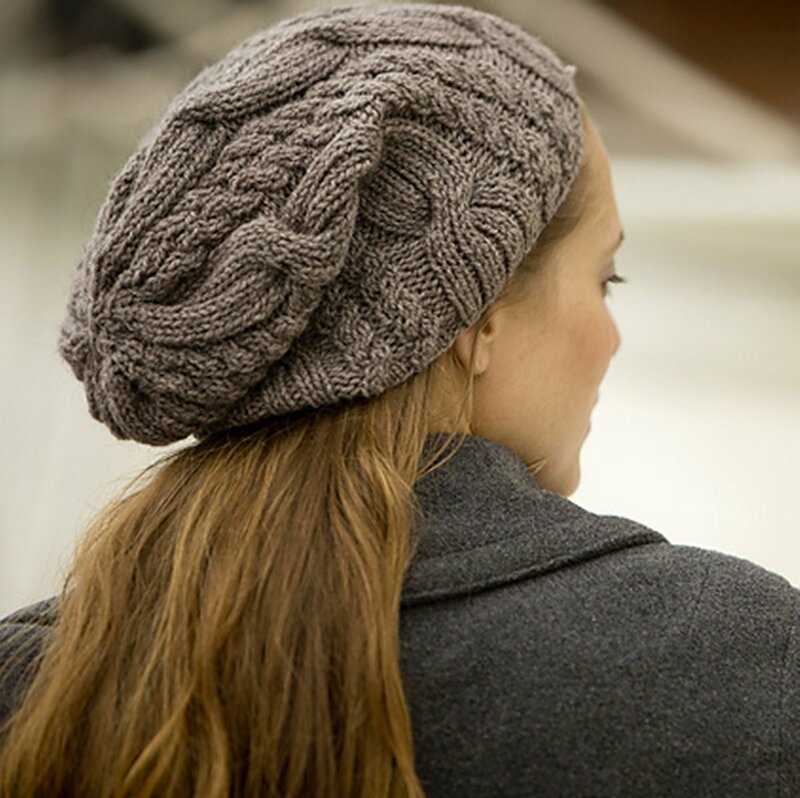 Large intertwined cables and small double cables create awesome texture in this lovely slouch. SIZE: One Size - Circumference: 18.5"
You can also view all Swans Island Patterns. Kristen reviews Swans Island Patterns.